Need advice about something apple-related? 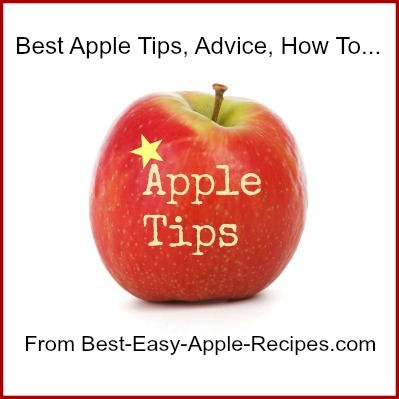 Here follows a collection of links to pages of "How Tos" and "Tips" for baking and cooking with apples, that are included in various sections throughout the pages of Best-Easy-Apple-Recipes.com. 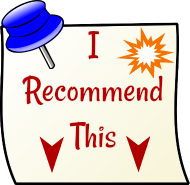 Good ideas and tips for use in the kitchen are experiences with food preparation and other culinary activities that have been passed on from the kitchens of both master chefs and home kitchens. It's fun passing along tips to help someone else avoid a common culinary mistake, or to encourage someone of a simpler, or more convenient process to accomplish a task. With informative titles such as "How to Prevent Apples from Turning Brown", and "How to Store Apples", I hope these pages both help you and inspire you in your kitchen and in all your culinary endeavours! How MANY APPLES do I NEED for a recipe? The ingredients required for some apple recipes are listed in the number of apples, while for other recipes the ingredients may be listed by the weight or the cup measurement of the apples. 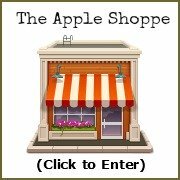 I hope the tips for apple measurement and conversions (above) will help you in executing the apple recipes on this site! If you have any apple-related tips, questions, comments or suggestions, please feel free to contact me.